We are here and ready to help with your computer problems. We are the team to call on Hilton Head Island when you need computer repair services or IT support. That is right, no 1-800 numbers to foreign countries to call when you have a problem. We are directly responsible for our work. When you call HHI Computer Guys we care and we will help. We have a conscience and charge fairly and reasonably for the work we complete. Have a computer problem? Even if you dont live in Hilton Head, we can help. Let our experts fix your computer and networking problems through the Internet. As long as you have a High Speed Internet connection we can deliver secure problem free computing without you leaving your home or bringing it in to our office. We can fix your computer while you watch. Click to Chat or Call HHI Computer Guys at (843)422-2201 to let us know what problems you are having. From there we can call you to get your credit card information. Rest assured you will not be billed until we complete the services you have requested. Once we have your information our tech support specialist will give you a support key. Next you will click on this link ==> HHI Computer Guys FastSupport to get fast 100% secure support through the Internet. Enter	the	key	provided by our expert in step 1 to	start	your	session. Download the small file and follow the onscreen prompts install the program and to grant your expert access and control your computer remotely to fix the problem. Just sit back and watch us work. Your representative only sees what you see, nothing more. Your problem is solved and now you can go on using your computer. Ask us about our monthly and quarterly service plans! 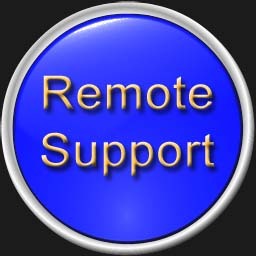 Our remote computer service is great since you do not have to bring it by our office, and we don't have to pick it up or go to your home. You get the benefit of super fast remote technical service and you pay less because less time involved in remote support. We have helped hundreds of people through our remote computer and IT services. Through remote, we can diagnose computer, software, and network problems. Even if you have questions about software settings, email setup, networking, networking, software installation, or really anything computer related, we are your Hilton Head go to guys for all your computer and technical needs! Better Geeks, Better Service and Better Pricing.